exercise. In Gilruth's opinion, the field centres should carry out the selection, with later vetting by OSS and OMSF prior to final approval. The inclusion of a scientist was recommended and a seven-member NASA board was proposed, to represent management, programme, scientific, engineering, medical and operational viewpoints, as well as meeting political, congressional and scientific agendas. Eventually, a six-member NASA board was formed, with a further nine members comprising the NAS selection board that processed the applications prior to passing them on to NASA. Table 1. Selection boards for the NASA Astronaut Class of 1965 (Group IV). Department of Biology, Joseph Leidy Laboratory of Biology, University of Pennsylvania. Department of Physiology, University of California Medical School, Davis. Educational Service Inc.
Chairman, Astronomy Department and Director, Center for Radio Physics and Space Research, Cornell University, Ithaca, New York Hartline Rockefeller University Department of Physiology, University of California. Astrogeology Branch, United States Geological Survey Department of Geology, Northwestern University Department of Geology, University of California. 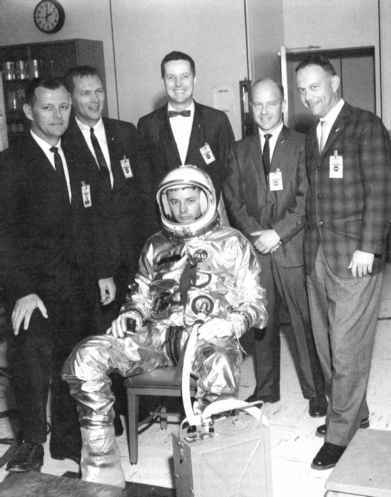 The inclusion of astronauts in the selection board was logical, as it enhanced the general understanding of the requirements needed by each individual for current and future programmes, and would give the applicants a chance to meet someone with whom they would work and who had gone through a similar selection process. The inclusion of "active" astronauts on NASA astronaut-candidate selection boards has continued to the present day. With all these issues resolved, the objective was not to select America's first group of scientist-astronauts immediately, but to refine the selection process to take into consideration additional academic qualifications and limited flying credentials. 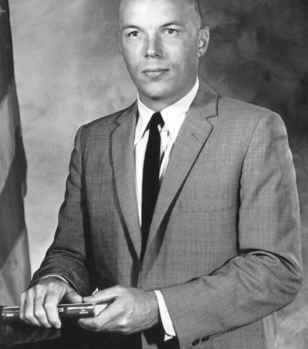 Gene Shoemaker, a member of the NAS Selection Board, was among those who had lobbied hard for the inclusion of a group of scientists into NASA's astronaut corps. In fact, he was also one of the early leading candidates for selection before being diagnosed with Addison's Disease, a hormonal disorder characterised by muscle weakness, fatigue and low blood pressure, which precluded his involvement as a scientist-astronaut.